Habitat - Ponds, lakes, streams, ditches. Origin - Native to Brazil. Other information - This attractive but very weedy species can be found mainly in southern Alabama but is probably more common than is reported. 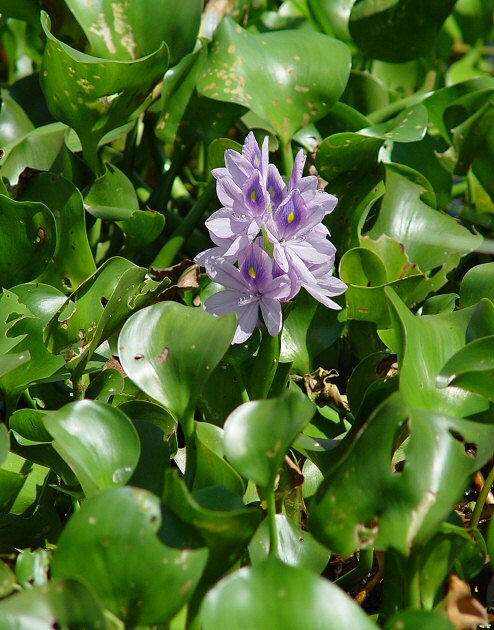 The plant is easy to identify because of its floating habit, distinctive leaves, and fantastic flowers. 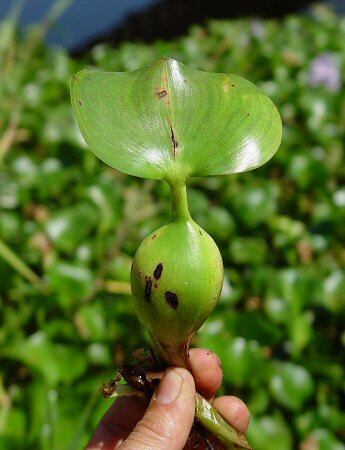 The petioles of the leaves are filled with spongy mesophyll tissue and give the plant its ability to float. E. crasspies is one of the most noxious weeds in the southeast United States because of its ability to double its mass in a matter of days. 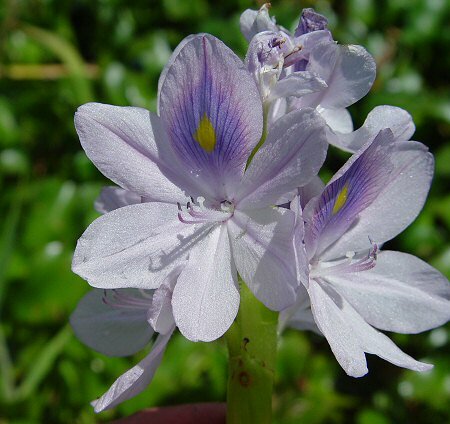 The plant clogs waterways and chokes out other native plants. It should never be willingly spread. The genus name Eichhornia is given in honor of Johann Albrecht Friedrich Eichhorn of Prussia (1779 - 1856). Eichhorn was a politician and court advisor. He was appointed as minister of education and public welfare by Prussian King Friedrich Wilhelm IV. 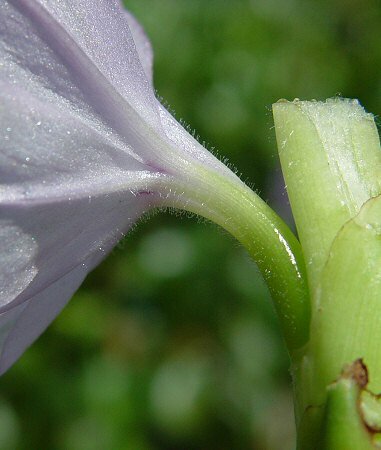 The species epithet crassipes derives from the Latin "crass" meaning "thick" referring to the leaves. Photographs taken at Kissimee State Park, FL., 4-15-06.